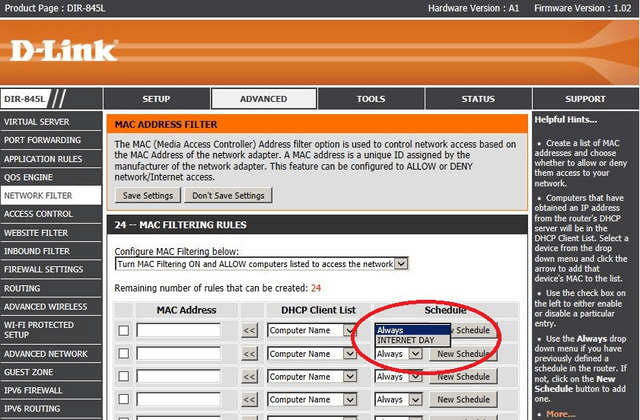 How to Setup a Schedule for Wireless Connection– DIR-845L? 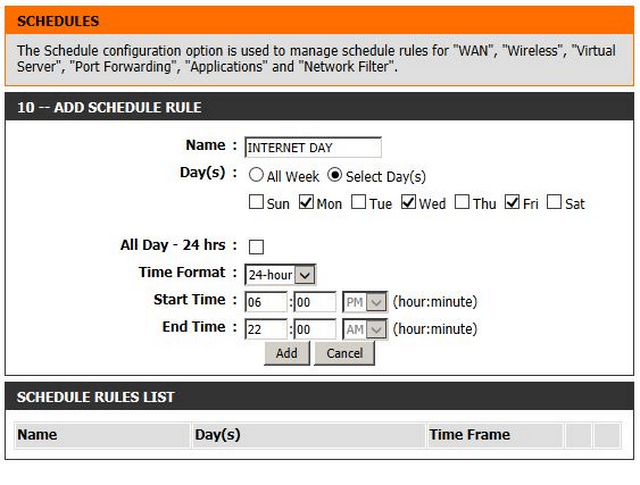 How to Setup a Schedule for Wireless Connection– DIR‑845L? How do I schedule my wireless connection? Following this, we have selected the time format to be in “24 hour” and given a “Start Time” as 06:00 until the “End Time” of 22:00. You may add this rule in “MAC Filtering Rules” as seen in the below image.